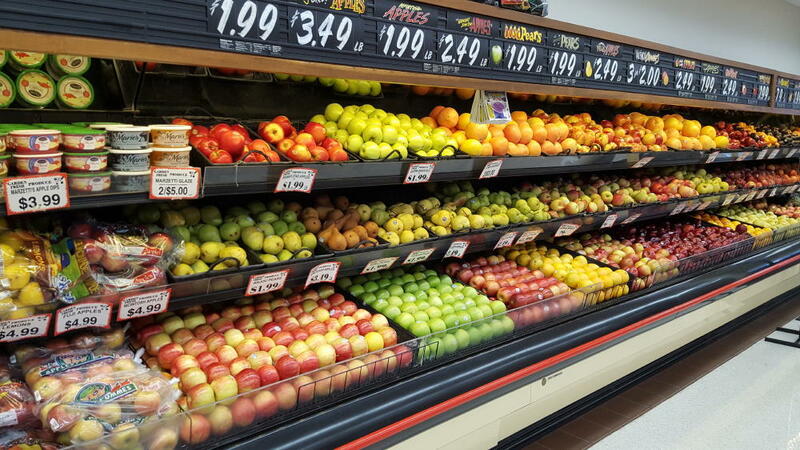 At Saylor's Market, our produce is hand-selected to provide you with the finest and widest variety of fresh, high-quality fruits and vegetables every time you visit. We work to provide produce grown using Good Agricultural Practices to ensure food safety, freshness and the highest quality for our customers. We’ve partnered with local farms in Pennsylvania, Maryland, and New Jersey to bring you the very best locally grown produce during the spring and summer months. As our neighbors and friends, these farmers have committed to supplying Saylor's with the best variety of fruits and vegetables — fresh from their farms to our stores and your refrigerator. Everyone needs the vitamins and minerals provided in fresh fruit and vegetables, especially our children. 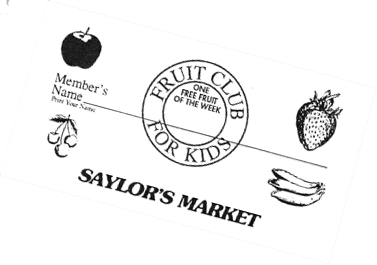 Be sure to sign your kids up for our free "Fruit Club For Kids"
Every time you stop in, your child will receive a free piece of fruit from our fresh produce department.